I know I’ve been MIA lately and I have 2 really HUGE reasons for that. I’ll share them soon, I promise, but until I’m ready to divulge my surprises, I wanted to get this tutorial posted. We talked about it on my Facebook page late last week and I was finally able to get all this together! 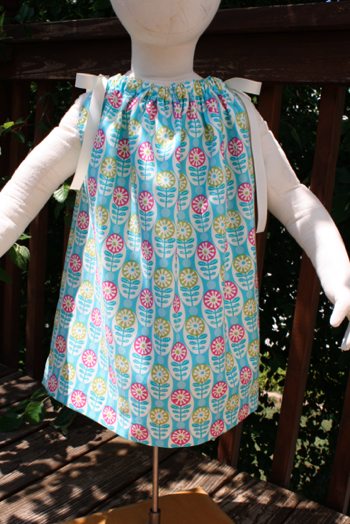 I’ve received many notes, emails, and messages from you amazing readers over the past 18 months about using my pillowcase dress tutorial to make dresses for little girls all over the world. It’s always moved me that so many of you are so giving and caring and take the time to not only sew for others, but to share your stories with me. I posted the latest email I got last week and it sparked a conversation about how more of you would like to get involved and sew these amazingly simple dresses to donate to girls in need. I know of one drive currently taking place so I wanted to share the info with everyone who was interested. If you know of any others and would like to drum up more donations for them as well, please feel free to shoot me an email with details at sewlikemymom@gmail.com. 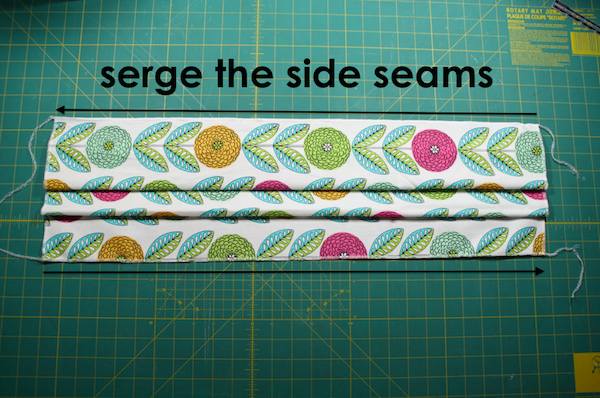 Or check out the new one I’ve worked up for those of you with a serger. 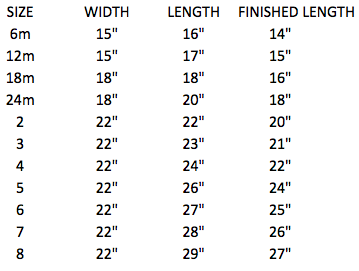 From my first post many have asked me about how big to cut fabric for different size dresses, so I’ve created a little chart for you all to use. 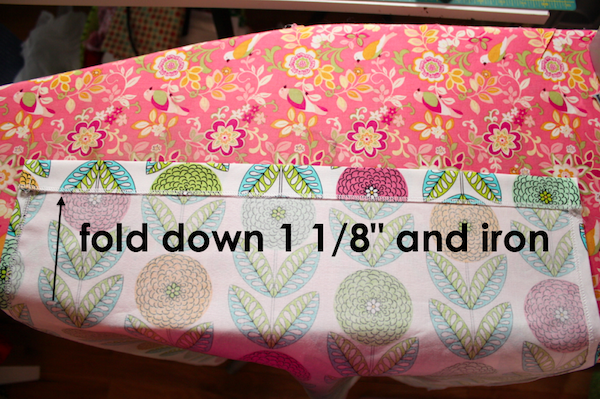 *For all sizes that are 22″ wide, that means you should use the width of the fabric. 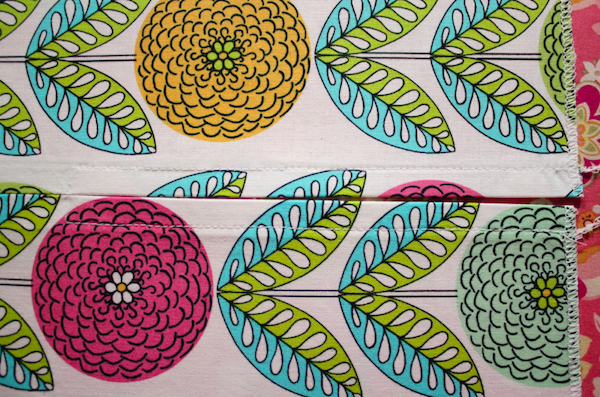 Fabric comes in 2 widths, 45″ and 60″. Nearly all cotton fabrics are 45″ wide, then are folded in half and wound around the bolt. 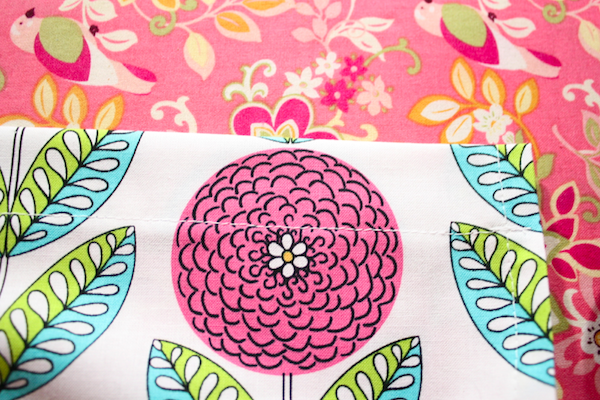 So when you buy a yard, you’re buying a piece of fabric 36″ long by 45″ wide. To use the width of the fabric, keep it folded in half, but make sure you line your edges up evenly, and cut it in half. 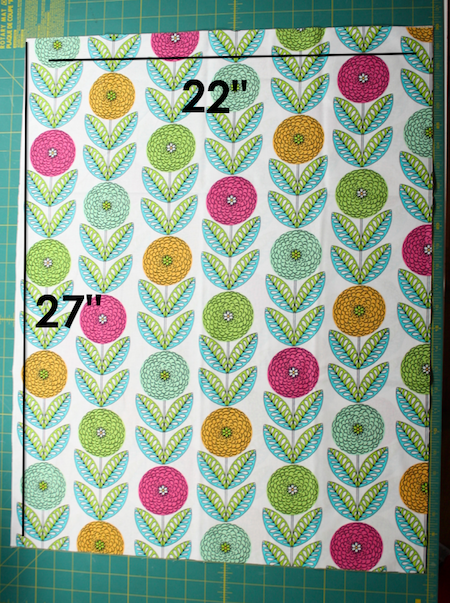 Each half is now approximately 22″ wide. 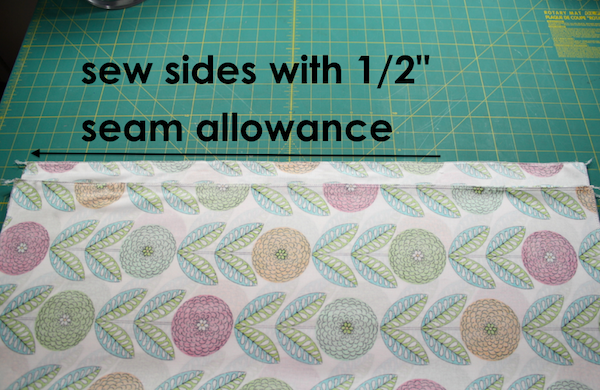 After you cut off the printed selvages your piece will be more like 21.25″ wide, but that’s okay. There’s plenty of room in these dresses. **To make a dress bigger than a size 8, continue following the formula for each size increase. 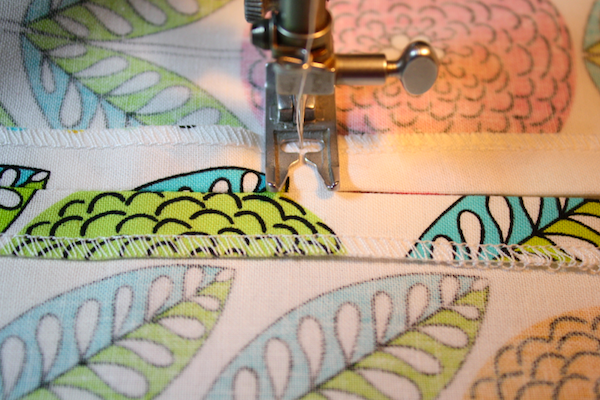 Since I discovered the wonder of serger sewing, I’ve been making my pillowcase dress with even greater ease. I can whip one up in about 30 minutes now and they’re so simple to create for special occasions or to give as gifts. And the new way has a simple arm hole that provides less bulk for the wearer. I made this dress in a size 6 to give to a friend as a birthday gift. 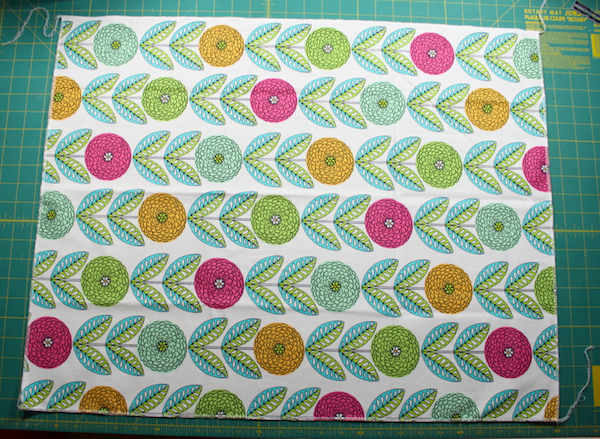 So I cut 2 pieces 22″ wide by 27″ long. 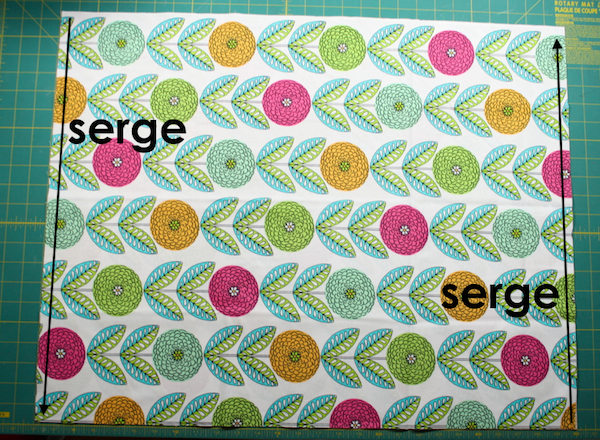 To begin, serge the top and bottom edges of each piece. Cut the tails off and serge down the side edges on both pieces. Now all four sides of each dress piece will be serged. 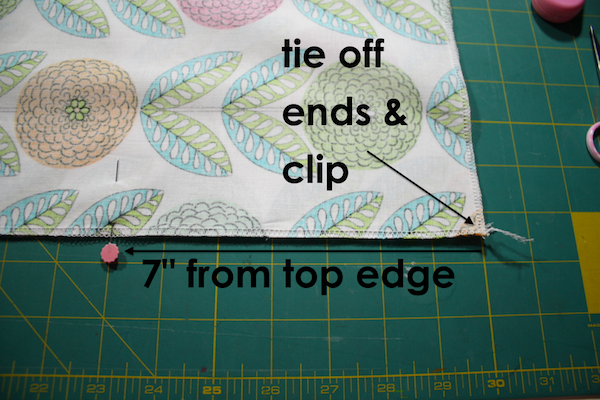 Tie off the serger threads and clip them short. Now measure for the armhole. For most size dresses, I use 6″ as it’s a roomy amount without showing too much side. I need to add 1″ for my top casing so I measured down 7″ and pinned the front and back together with right sides facing. 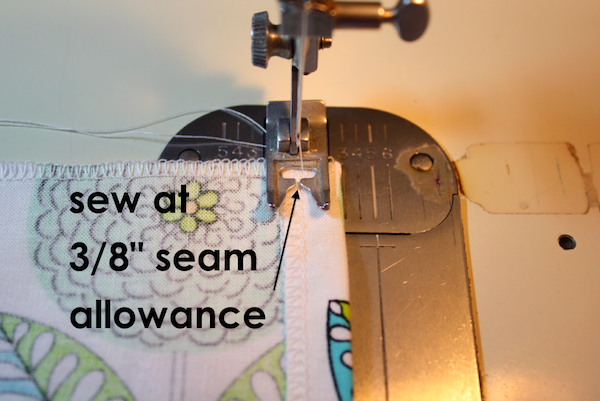 Sew from the pin to the bottom of the dress using a 1/2″ seam allowance. Repeat for the other side. Open the dress and press the side seams open, continuing past the stitching and ironing the armhole sides down as well. leaving the needle in the down position, raise your foot and turn the dress 45 degrees to sew along the bottom of the opening. 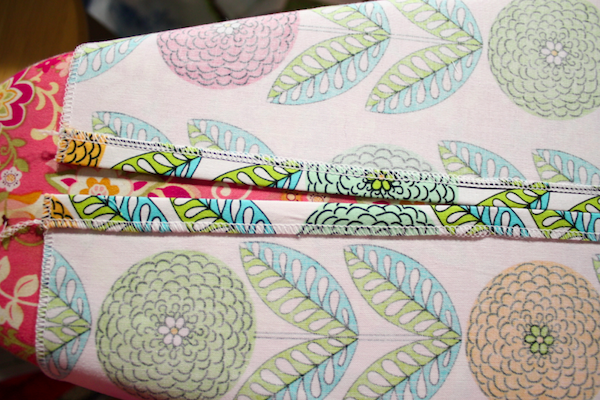 Then making sure you’re lined back up at 3/8″, sew up the other side to the top. Repeat for the other side of the dress. Now fold down the casing. I generally use 7/8″ size ribbon, so I like to measure down 1 1/8″ and iron. If you’re using a smaller ribbon, 1″ will be fine. Repeat for both sides. Stitch down the casings. 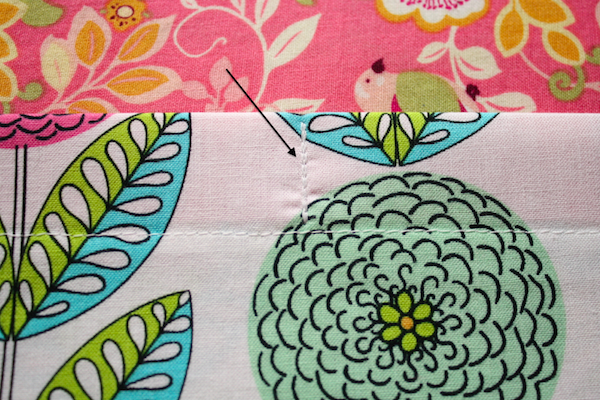 I generally just sew along the edge where the serger stitching ends, in this case it’s just under 1″. 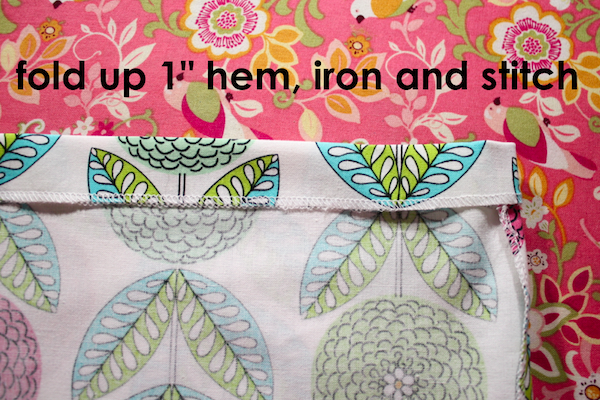 Then fold up your hem 1″ and stitch it in place. I double the width of each side for my pieces of ribbon. So for this dress, I used 2 ribbon pieces 44″ in length. Thread each one through the casings on each side of the dress and stitch them in place in the middle of the casing to prevent them from coming out. Tie off your ribbons and you’re done! Hey Lauren! I would love to share! I have a Brother 1034D serger. I got it 2 years ago and I love it dearly. 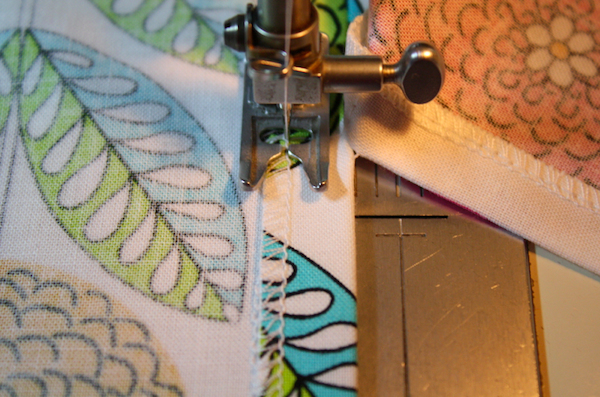 I chose that particular serger because it was inexpensive and because it has RAVE reviews. 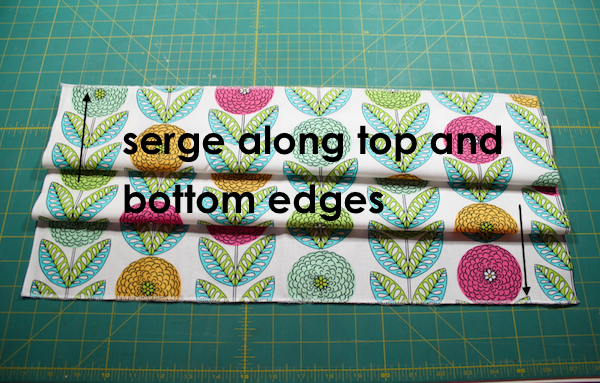 It’s a wonderful machine for anyone just learning to serge and it doesn’t break the bank. It’s fairly easy to figure out the threading and tension and it’s extremely user friendly. It uses regular sewing needles and regular thread (though I do buy the big cones at Jo-Ann’s for $1.99 each) which makes it easy to replace broken needles or find different thread at midnight when you’re trying to finish that dress the night before the event. 🙂 I also recently broke my top knife and was terrified of the cost of replacement. I found one at a replacement parts website, for $24 it was at my door 3 days later and 3 minutes after it appeared, with just a few turns of a screw driver, it was good as new! I really can’t tell you enough amazing things about it–I’ve even recently talked my Mom into getting one! I have several friends who have bought this serger on my recommendation and they all love it as well. This is where I got it and highly recommend it to anyone who wants one! Thanks for this tute. I made your dress with the sewing machine last night and was thinking of doing the sides just with the overlocker and one fold only to reduce bulk (my sewing machine hates bulky seams and its a horizon 7700!!!) and you have literally put my thoughts into pictures and words! I too am making up dresses to be taken to an orphanage in east africa just after christmas – so the rush is on and many thanks for the detailed list for sizing and fabric cuts. It makes it that bit more quicker for me. Fantastic blog by the way. My niece a pillow case dress. It’s gorgeous! As a at home mummy of 3 boys under 4. Are you using duck cloth on one of these dresses? No, all my dresses are made from cotton. Hola! I’ve been reading your weblog for a long time now and finally got the courage to go ahead and give you a shout out from New Caney Tx! Just wanted to say keep up the fantastic job! Hi! I can’t wait to try to make this adorable dress for my 1 year old. I’m a beginner and just wondered if you could adjust the fabric size for 2 fabrics? I liked the look of some of the dresses that had a coordinating fabric at the bottom and wondered how to adjust your turorial to make that one as well. Thanks! I made this dress for my nieces and love how they turned out. I’m wondering about the ribbon though, how do you keep it from fraying on the ends? Especially after a wash? To keep it from fraying, you heat seal it with a lighter. Just hold the ribbon near the flame, but not in it, and it’ll melt the ends enough to ceal them and they won’t fray, even after washing. To keep it from fraying, you heat seal it with a lighter. Just hold the ribbon near the flame, but not in it, and it’ll melt the ends enough to seal them and they won’t fray, even after washing. Thank you sooo much Melissa. I made a beautiful dress (except when I serged both pieces of fabrics together when you said to do each one separately). I can do something better if I see pictures of it. Could you do a tutorial on how to add a wide band on the bottom of the dress? Would you still measure 7 inches for the armholes on a 12 mo and 24 mon dresses? I am making them and don’t want the armholes to be too far down the sides when they put them on. What are your thoughts? Hi I love this dress and I going to try and make it for my grand daughters. I’m new to this so please don’t laugh if this sounds silly to you, but do you only use a serger when making this dress or do you use a regular sewing machine too. Thank you so much for the tutorial! 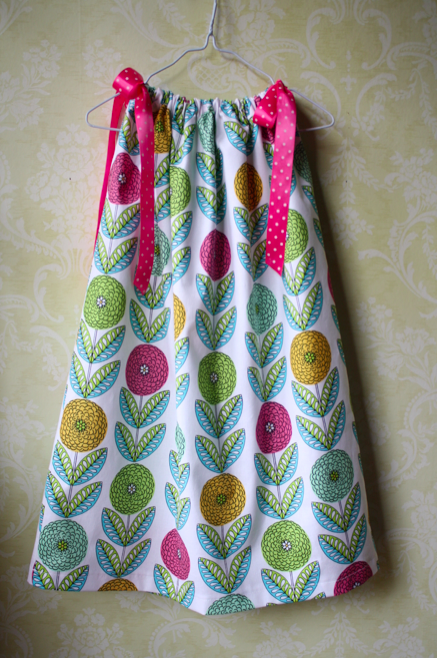 I made a few for my three girls and blogged about it. I linked your blog! Let me know if you want me to take it down and I’ll do so! 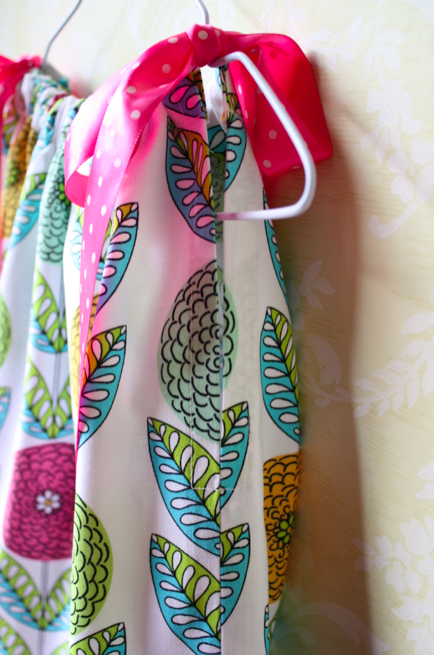 Now to try to make one for a size 12, if i can figure out how… Thanks again..
You’ll want to use my other tutorial: Easiest Pillowcase Dress Ever. There’s a link to it in this post. A serger is a special sewing machine that you don’t have yet. 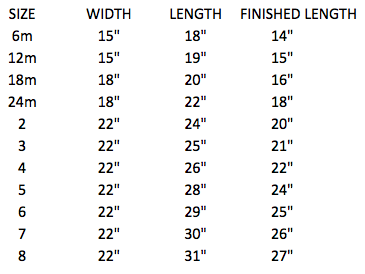 The measurements for a 12m dress are listed in the charts provided. Good luck! Where i live everything available in frills is only for parties…..too heavy or too shiny…. Wen i came across ur page felt mayb i can do it….I am not sure i can use the serging technique yet bcx my machine might not have it!!!! Can u tell me how do i measure how much arm-hole shld b kept for a 6yrs girl???? after all these yrs i feel i am all lost n layman in this area again….would love to follow ur page and learn everything anew!!!!! For the arm hole, i saw the chart, is it the chart measurement PLUS one inch? or is the inch included in the chart measurement? Depends on the size you’re making. In the example, a 6, it’s 7″ total. Then you fold down the casing and what’s leftover is the appropriate size.